When we see fairy godmothers in fairy tales, they aren’t really anything like the fairies we find in Irish folklore, who want to convince humans to make deals that are potentially disastrous for them. Instead, the fairy godmothers of fairy tales like Cinderella are entirely devoted to the future success of their charge. In the 1697 version of Cinderella by Charles Perrault, one of the most popular versions and the one on which the Disney movie is undoubtedly based, Cinderella goes crying to her fairy godmother about the ball. Because Cinderella has been such a good and gracious girl, her godmother turns a pumpkin into a carriage, mice into footmen, and rags into finery, and sends Cinderella off to the ball. 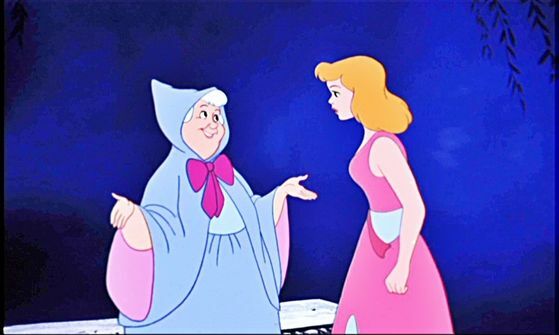 There are two particular morals here: the first is that Cinderella has to fit a very narrow definition of virtuous to “earn” these gifts, and the second is that no matter how virtuous Cinderella is, she wouldn’t have gotten anywhere without the great privilege of having a fairy godmother. Other retellings of Cinderella have largely kept this part of the story intact. The Tyme series critiques both of these morals in its own retelling of Cinderella. In Disenchanted: The Trials of Cinderella, the fairy godparents all work in an institution called the Glass Slipper, which is organized so that fairies help children in need. Said children are put onto a List, and all the children on it will be assigned time with a fairy, with the most urgently in need of care getting priority. However, the institution has become corrupt under the rule of Bejeweled (Jules for short). Jules re-organized the Glass Slipper so that if you wanted more time with a fairy, all you would have to do would be to pay more. This, of course, resulted in the rich families paying bucketloads of money, and the poorer children getting nothing. At the start of the story, having a fairy godparent has literally become codified as an economic privilege. If you can’t pay, you won’t be on the List at all. “Yes,” cried Cinderella, with a great sigh. “Good” isn’t defined for us precisely, but we can tell from the rest of the fairy tale that it means that Cinderella bears her stepfamily’s abuses patiently and always cares for them even though they mistreat her. Acting this way in the face of abuse is apparently expected, not unrealistic. In Tyme, things are different. Though we don’t know much about how the fairies’ picking mechanism works, we know that these children aren’t on the List to be helped because of arbitrary values they may or may not match. In other words, children aren’t Listed because they’re so good or virtuous, they’re Listed because of their actual needs. Some are poor, some desperately need to be freed from curses, some want to change species, etc. In Ella’s case, she’s Listed because her mother works in a sweatshop and wants to save Ella from a similar future. Both Serge and Jasper are eager to help. That brings us to the question of what exactly fairy godmothers do to help their charges. In Cinderella, of course, the godmother is ready with things that denote wealth: clothes, accouterments, and the like. In Tyme, the godparents can be much more practical. Serge and Jasper sometimes fashion fancy clothes for Ella, but other times they just sit with her and listen to her talk, offering advice on how to deal with Prince Dash and with her classmates. Furthermore, in keeping with Tyme’s critique of class, it’s clearly shown that what the fairy godparents do affects not only their charges but also themselves. Many of the rich kids who pay for the Glass Slipper’s services, for example, want things that Perrault’s godmother would call wealthy—fabulous vistas in which to hold parties, beautifully wrought cosmetics, etc—and the children are so accustomed to these services that they rarely thank or think of the fairies. One such child is Lavaliere Jacquard, who wants to marry Prince Dash, but is afflicted by the cankermoth illness: she has sores growing all over her body and in order to heal it, she will need to leave the royal grounds for many years while she recuperates. For her own reasons, though, Lavaliere wants the crown more than anything, so she lets the sores keep growing and her mother pays a fairy—Serge—to come by weekly and reapply a magical glamour to her face and skin that makes her look healthy. As Serge keeps doing it, he realizes that by enabling her in this way, he’s actively playing a role in her eventual death. This has a disastrous effect on his magic: soon he can barely do any of the things he used to do easily, like flying. It’s only by doing more principled deeds which prove that he still has empathy, like helping a prince escape armed guards and even saving children from a fire, that his magic recovers and returns. In short, godparents in the Tyme series carry out many notable functions that both strengthen the story’s worldbuilding and lays bare the problems with fairy godmother-ing in the original Perrault and other fairy tales. Should a child have to be “good” or “virtuous” in order to be deserving of help, and if the godparent helps them, what is the best way to do so? The Tyme series critiques the particularly privileged way of thinking that says that only certain children deserve help, and it also suggests that sometimes these children don’t need wealth, but a more practical and discerning way of help. It even gently critiques the idea that a caregiver always has to be maternal: though the Glass Slipper has male and female fairies (no nonbinary ones, unfortunately), Serge and Jasper are both male and they are the fairies we see most often with clients. This updated and revised version of the fairy godmother trope is part of what makes the Tyme series such a success in its revisionist retelling of Cinderella and other fairy tales. 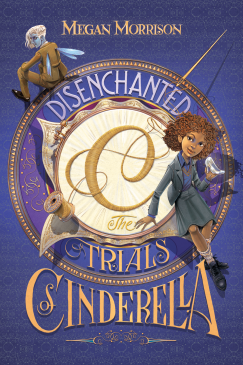 This entry was posted in Books, classism, Fantasy, Magical Mondays and tagged Charles Perrault, Cinderella, Disenchanted: The Trials of Cinderella, fairy godmothers, Jasper, Megan Morrison, revisionist fairy tales, Serge by porluciernagas. Bookmark the permalink.